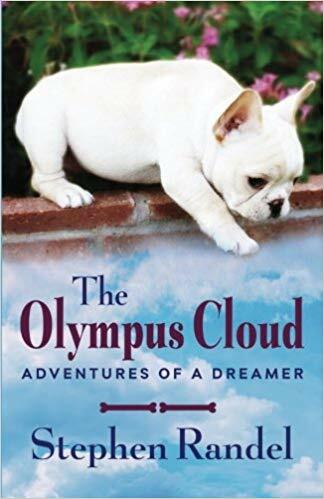 Disclosure: I received a copy of The Olympus Cloud from Sage's Blog Tours in exchange for an honest book review. All opinions are my own. The Olympus Cloud was written by Stephen Randel. Do you ever wonder what your dog is dreaming about when its paws twitch? You might be surprised…. I read the description of this book and just KNEW that Zoe would love it. (I wasn't so sure about myself.) Zoe's read a number of books that give animals a more human character and set them off on adventures. She has a real love of animal stories. I've read Zoe's favorite series to Ana as well.... and lets just say I've been really tempted to accidentally return those books to the library before we've finished them. (A couple of them actually were returned before finished... I just couldn't take it.) I know children's books need to be appropriate for children... but oh my gosh... the drivel! Oh... and that book cover??? SO CUTE!!! Visit Stephen on his website. Purchase The Olympus Cloud on Amazon.